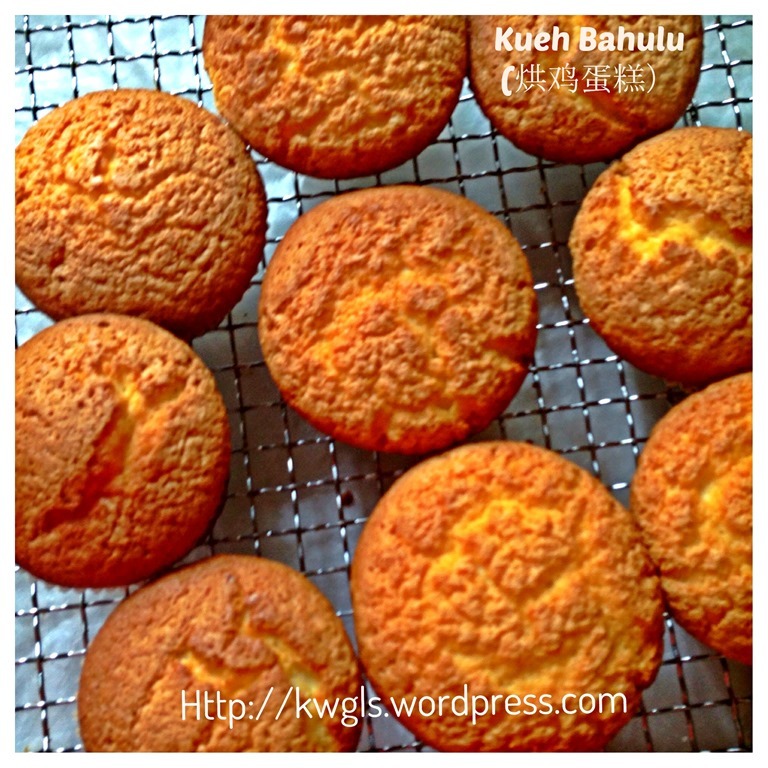 When I issued my post 2 days ago on the traditional Kueh Bahulu and macaroon look alike Kueh Bahulu (If You Don’t Have The Mould Try This Macaroon Looked Alike–Kush Baulk （蛋花糕）), a number of readers are asking if it can be baked in the muffin tin. 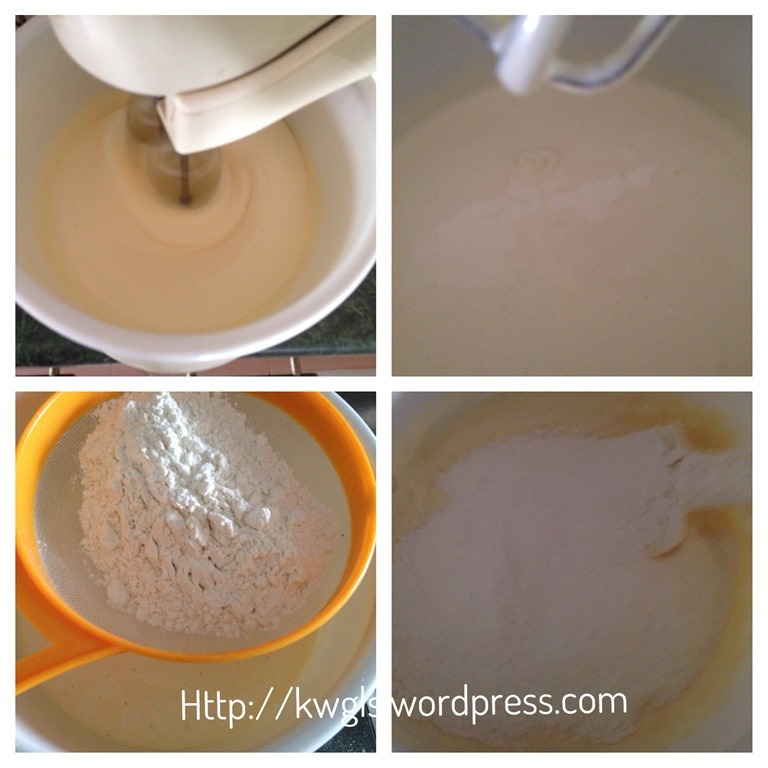 In fact it can, purely using the recipe from that post with 3 simple major ingredients (eggs, flour and sugar), it will become an angel food cake like structure and fall under the category of unshorten cake (by ingredients categorization) or foam cake (by preparation method categorization). 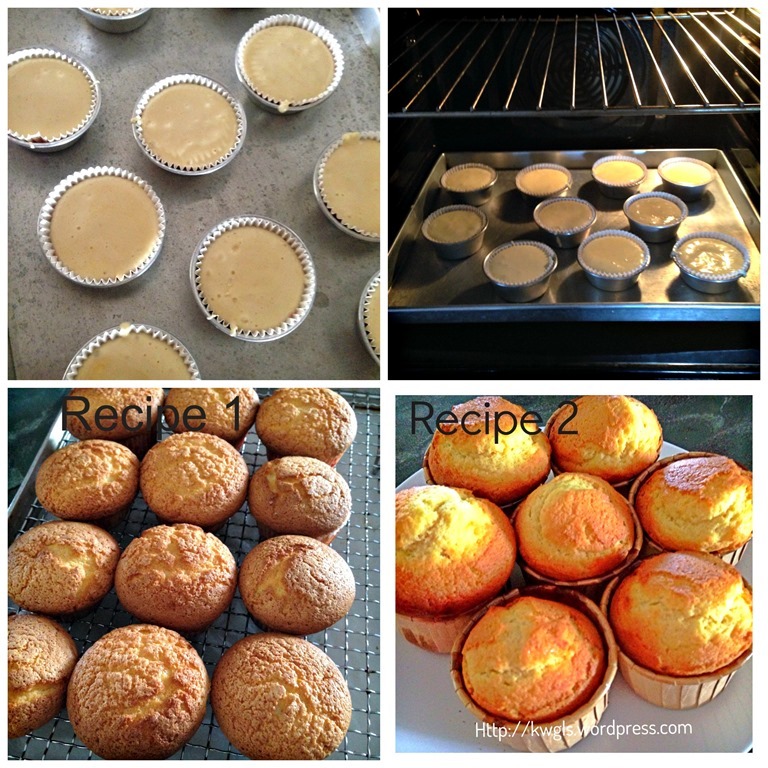 However, being put in the muffin cups, it will be a huge mass of sponge cake that can be rather dry. Therefore, in my humble opinion, to make it more palatable, some oils/fats have to be introduced to the cake such that it is easier to down the throat. 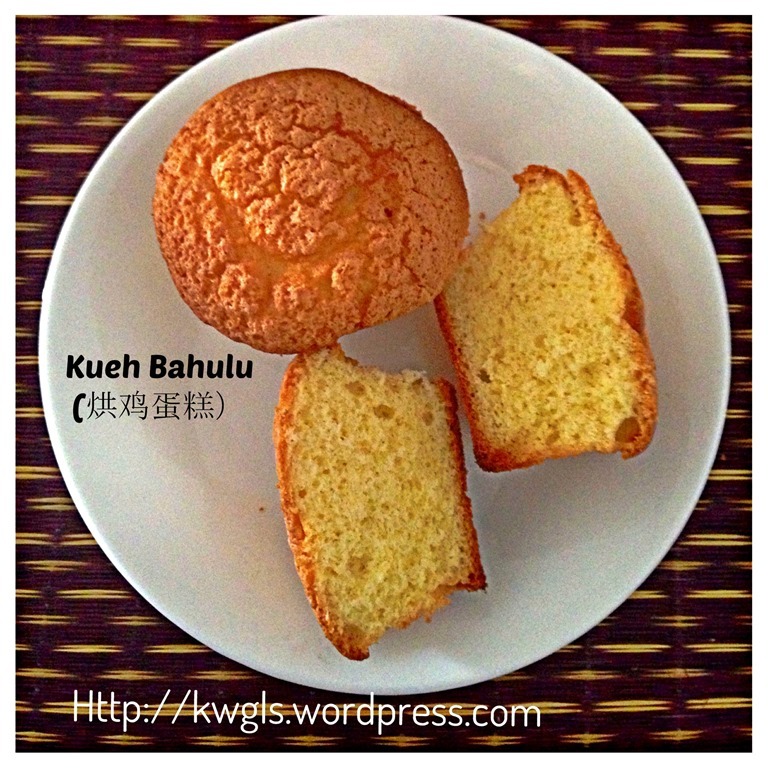 Though the output can be rather similar, however, due to its preparation method, I will still called it Kueh Bahulu as traditionally, this method is prepared using an animal, rectangular or oval shaped Bahulu mould. The cake was cooked over the charcoal fire rather than the oven. Elders called in 烘鸡蛋糕 or bake Jidangao.. 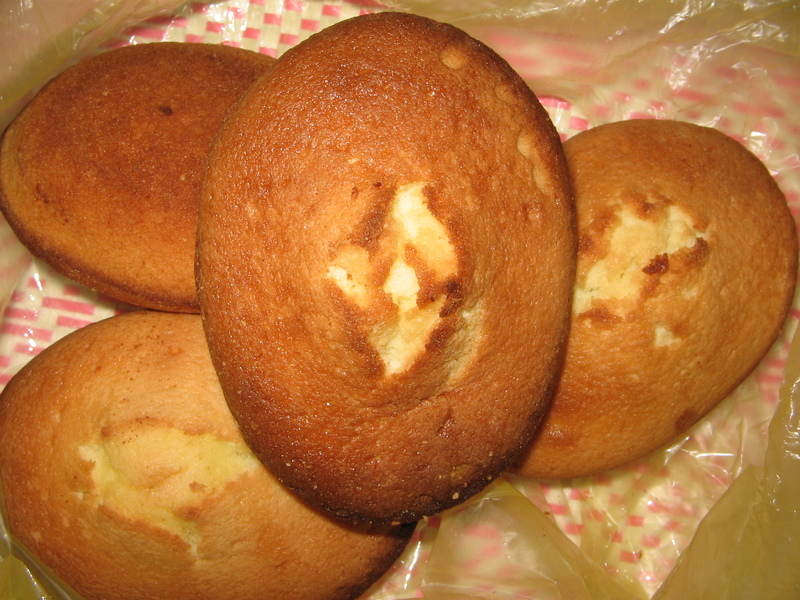 The picture from the Wikipedia shows that the shape of Kueh Bahulu commonly sold. 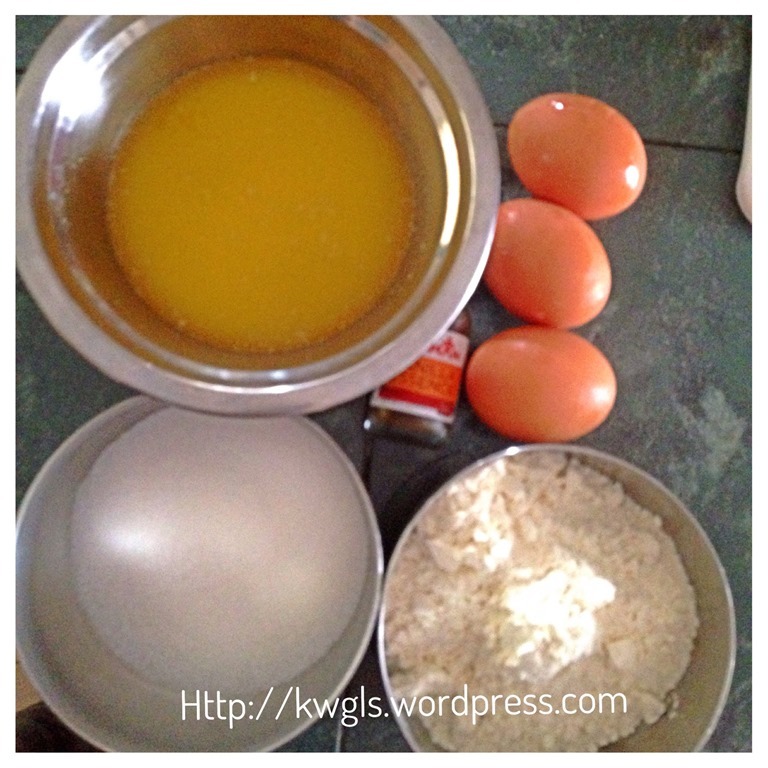 In a mixer, beat the eggs and vanilla essence until foamy and gradually add in the sugar. Beat until the volume expands to at least twice to three times the original quantity. In this process, you will witness the egg volume starts to expand, getting paler and paler. It will also become stickier and stickier. Once ready, ensure that egg batter drips down rather than flow down towards the mixer. Carefully sift in 1/3 of the flour. Use a spatula to stir until well combined. Repeat the same for the other 2/3 of the flour. 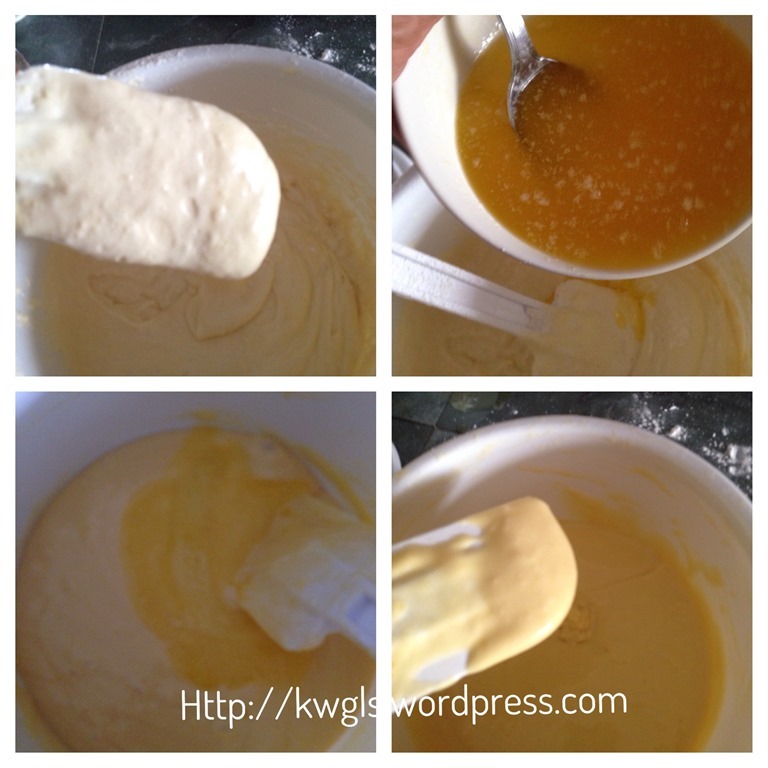 Gradually add in the melted butter, stir until well mixed. it is best to divide the addition of melted butter in three to five times. Ensure that no melted butter was settled down at the mixer. Transfer to the muffin cups at 3/4 full and baked in the oven at 175 degree Celsius at 20-25 minutes or until a skewer inserted comes out clean. 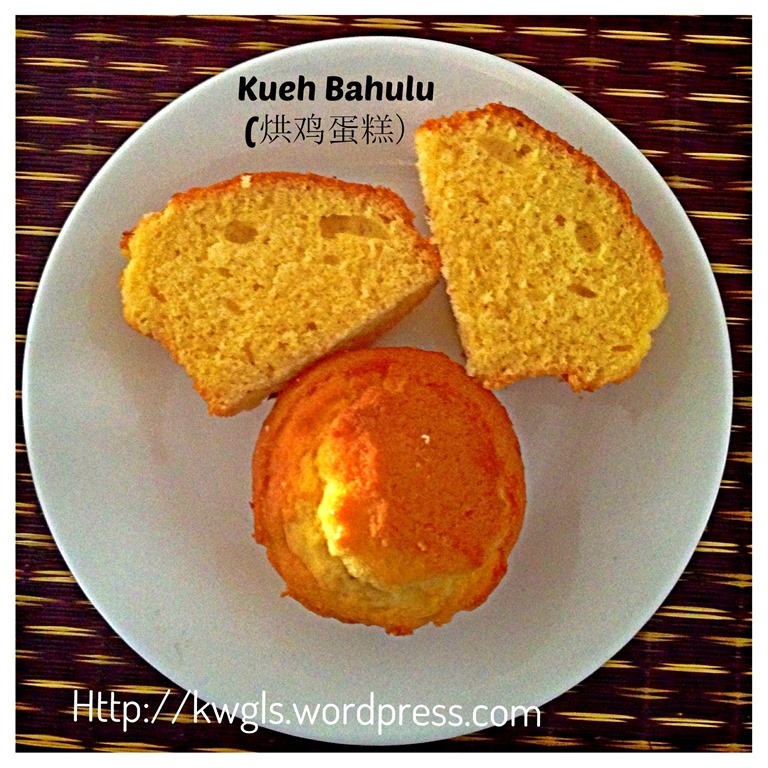 These two versions of Kueh Bahulu is less dry. I gave some to my neighbour and my neighbour loves recipe 1. She said it the type that she looked for but in the traditional flower shape. 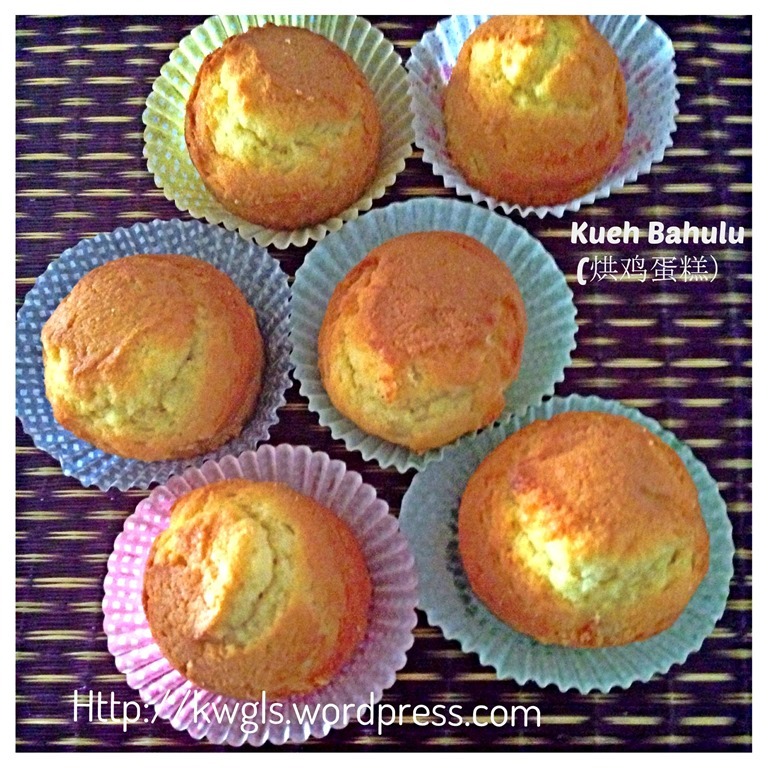 Therefore, you can also use the recipe using a flower Bahulu mould. Personally, I prefer recipe 2. I found that it taste just like butter cake. 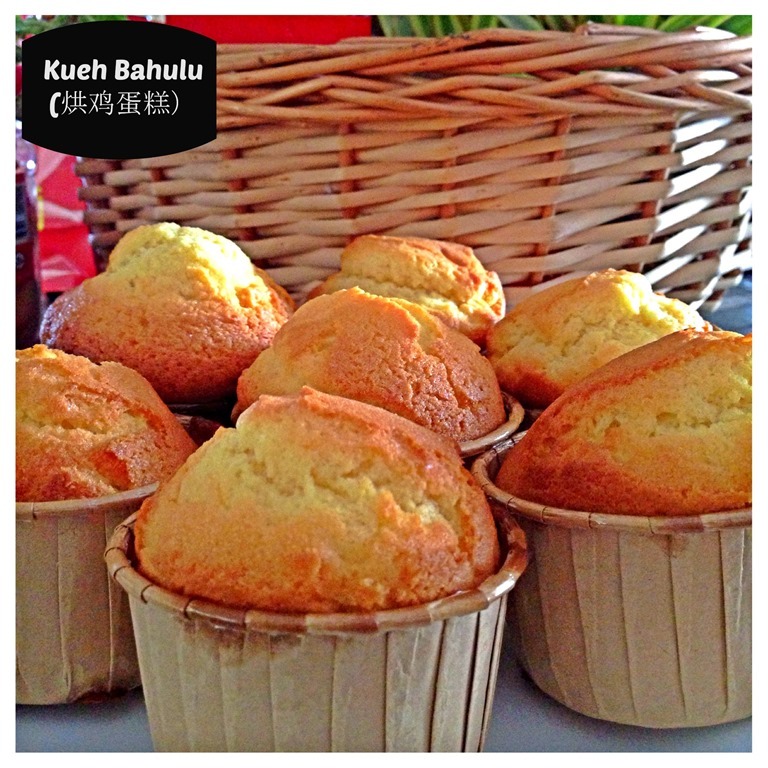 As for the name, be it butter cupcakes or Kueh Bahulu is up for you to decide…. It go just nice with a cup of coffee. 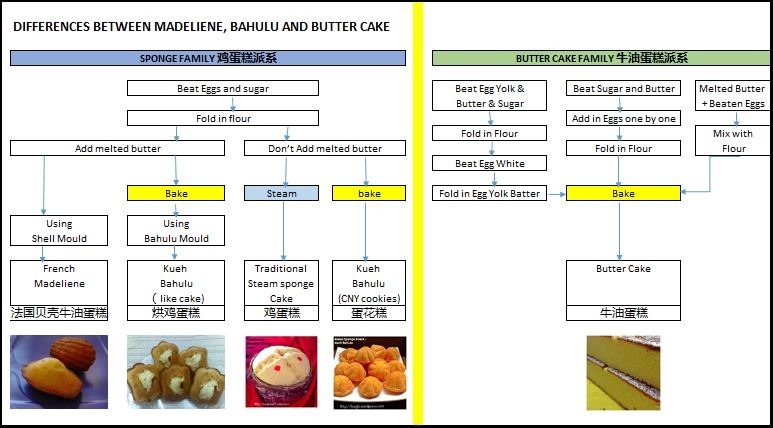 I know it is confusing and I am confused too, so I have my first draft of this simple flowchart to remind me where should this cake be categorized. This diagram is prepared based on preparation method and hence Chiffon category were not included yet. I will try to re-study and update it again. I am no cake baking experts and I hope somebody can highlight to me if this diagram is acceptable and I will appreciate any feedback. 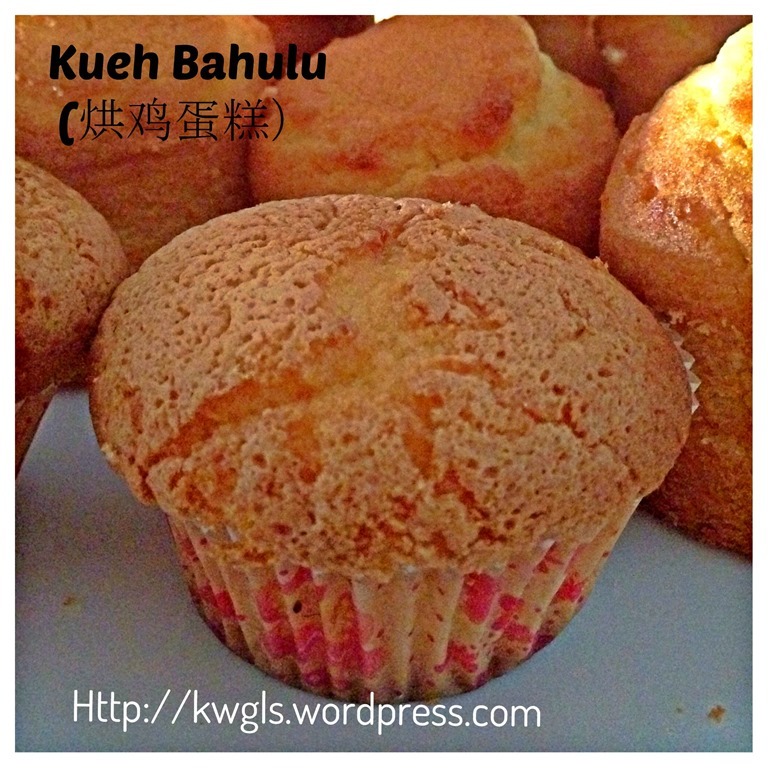 This entry was posted in Cakes and cookies, Chinese and Asian Cakes and Snacks, Chinese New Year 2014, Food Preparation Series and tagged 8, bueh bolu, cupcake kueh bahulu, 烘鸡蛋糕, GUAI SHU SHU, Guaishushu, kenneth goh, kueh bahulu, kueh baulu, kueh bolo, madeliene, postaday. Bookmark the permalink. I like how few ingredients it takes to make these! They look so yummy! Thank you for dropping by. Cheers. They look so delicious. Will give a try n let u know. hi…good morning. 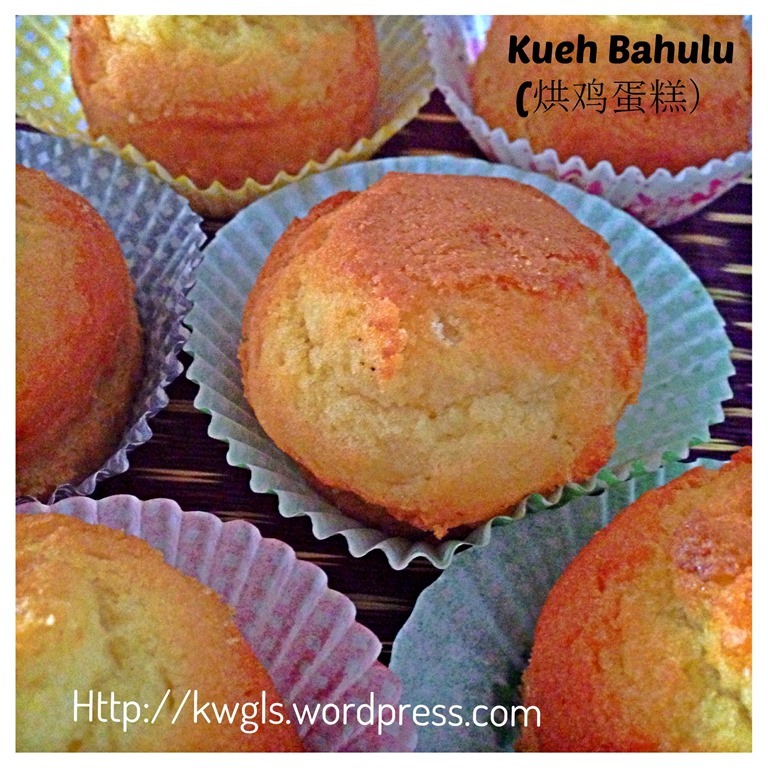 为什么我的kuih bahulu (recipe 1) 口感会比买的结实？是这样的吗?